As a senior, having a mobility issue does not preclude you from aging in your own home. With the right setup, even seniors who need the assistance of a wheelchair can age in place and live happy, healthy, independent lives. If you’re looking to buy a new home where you can age in place, here are some things you must consider. How much space will you have in the new home? Before you even think about buying a new home, you should start downsizing your possessions. This is the only way to give you an accurate idea of how much active and storage space you will require in a new home. 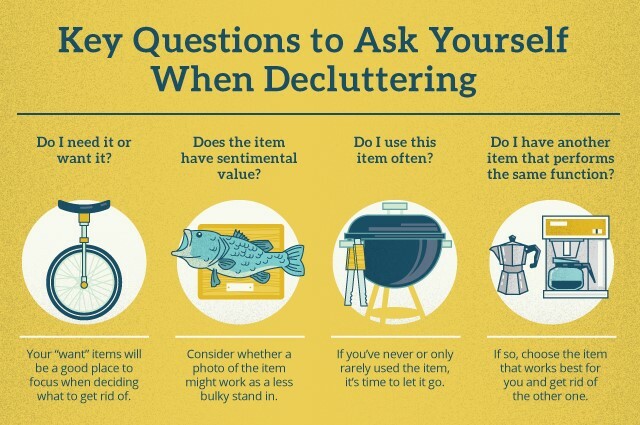 Not only does downsizing help you declutter, but having too many items lying about your home is a physical hazard for anyone with a disability (think trips and falls). For seniors that use a wheelchair - will you have enough room to maneuver? If you use a wheelchair to get around, it’s important to carefully assess the space in any prospective home. You can always knock out walls and widen doorways, but remodeling can get expensive and many seniors won’t want to live in a construction zone for months. In this regard, it’s probably best to find a home that already accommodates your needs. Have a thorough walk-through of the potential home in your wheelchair to make sure you can easily get through doors, turn in hallways, and get across barriers (floor-level bumps and threshold strips). For seniors who have trouble with stairs - can you handle the steps both in and outside the home? You may not need the assistance of a wheelchair, but you might still have problems going up and down stairs. Strongly consider the step situation before making a new house purchase. If you fall in love with a two-story home, will you need to access the top floor? You may want to have the extra room for guests, but if you have trouble with stairs, you will be better off buying a home with the most important rooms (bedroom, bathroom, kitchen, laundry) on the first floor. Don’t forget to check out the outdoor space, too. For example are there a lot of steps leading from the back door to the backyard? If necessary, how easy will it be to install a ramp? How much will you have to spend on modifications? If you’re operating on a tighter budget - as in the mortgage payment on the new home is going to put you right at your cap - you may not have a lot of extra funds to spend on home modifications. Some smaller modifications that people often overlook include: the need for grips and stability railing in bathrooms, kitchens, and around stairs; non-slip surfaces; lowered kitchen counters for easier access; lever-style door handles (as opposed to round turn-style); and extra lighting. Check here for a primer on getting started with modifications. If you don’t have a lot to spend on these sorts of modifications, however, you may need to find a home that already accommodates your accessibility needs. If assisted living just isn’t for you, the good news is that for some seniors with mobility issues it’s absolutely possible to remain in your own home. You may need to buy a new home, however - one that better accommodates your mobility needs. If you do decide to take the plunge and buy a new home, be sure that you consider every aspect of your day-to-day life when looking for new housing. Keep in mind what accommodations you need and what you can financially manage and you’ll be on your way to living in comfort and ease as you enjoy your golden years.